Killian's Crossing & Kroger – Hoopaugh Grading Co.
Killian’s Crossing & Kroger in Columbia, SC is a Commercial & Retail project delivered in 4 separate phases, for DCG Development Company, with the final phase being completed in July 2016. 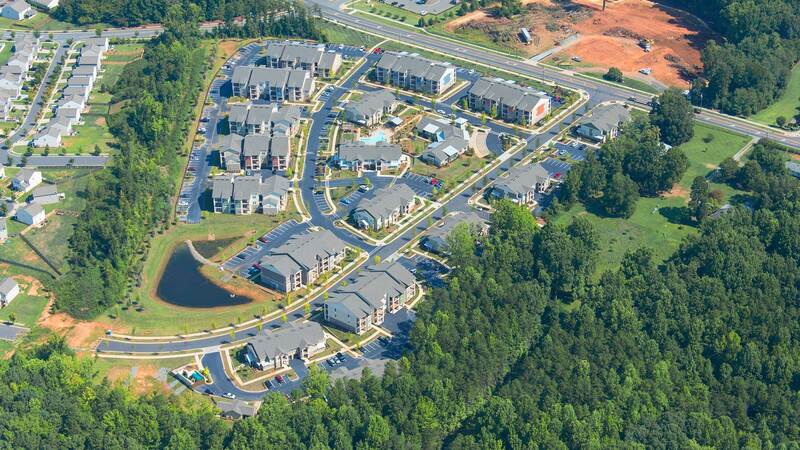 We provided the development with mass graded out parcels and established the main infrastructure for the 100+ AC site. The scope of work included Surveying & Layout, Clearing & Grubbing, Erosion Control, Earthworks, Underground Utilities, Curb & Gutter, Asphalt Paving, Offsite Road Improvements, Concrete Sidewalks, Retaining Walls, Landscaping, and Fencing. Highland Park in Charlotte, NC, was a Multi-Family Residential project we completed in 1.5 years and was delivered August 2014. The scope of the project included Demolition, Survey, Erosion Control, Earthworks, Retaining Walls, Utilities, Paving, Curb & Concrete. Our team approached each part of the project with one overarching fact: Best is Standard.